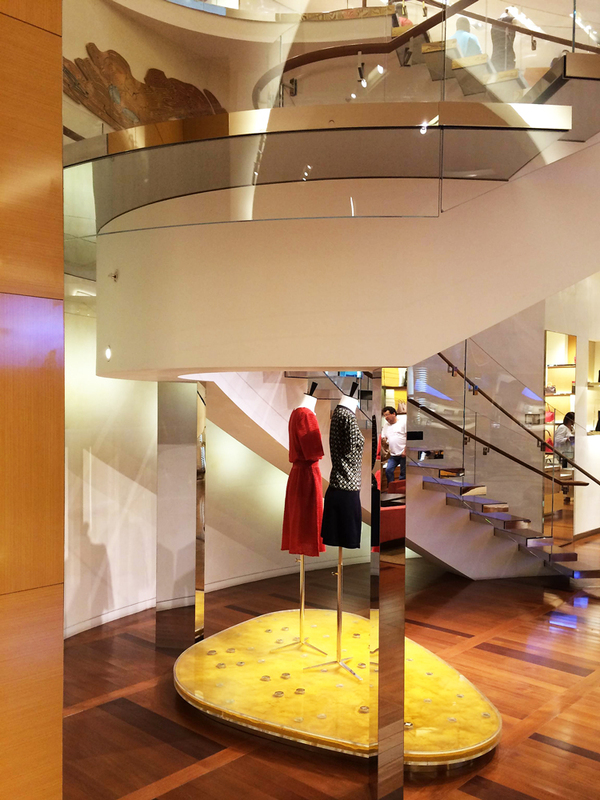 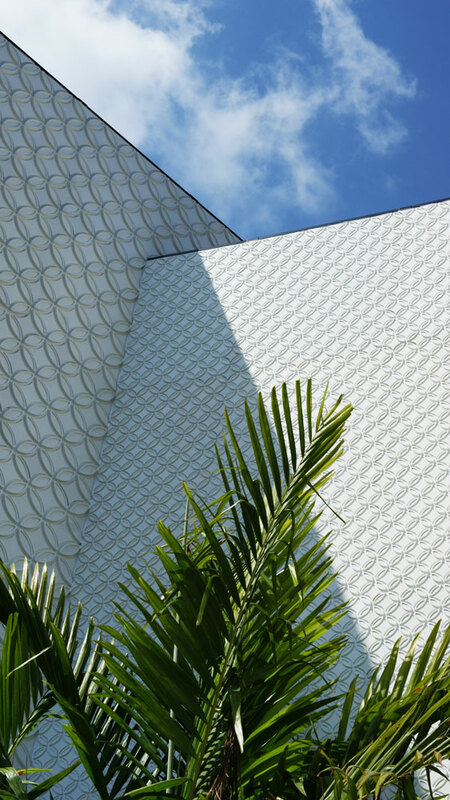 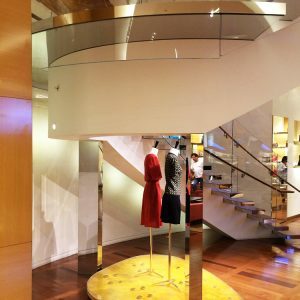 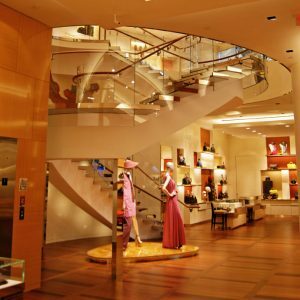 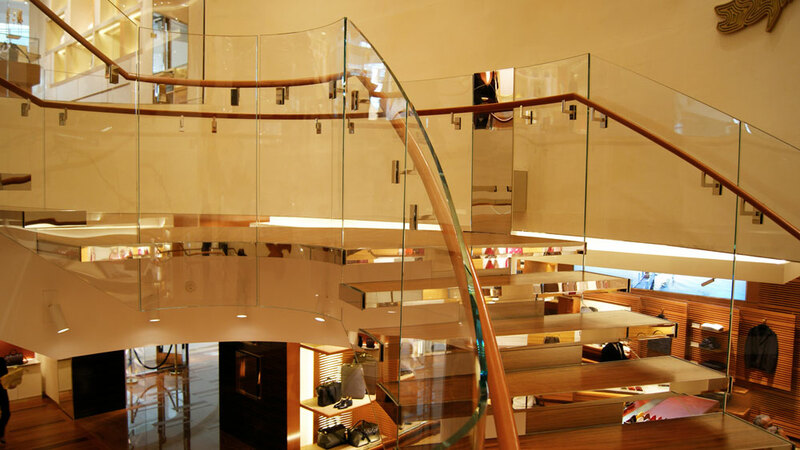 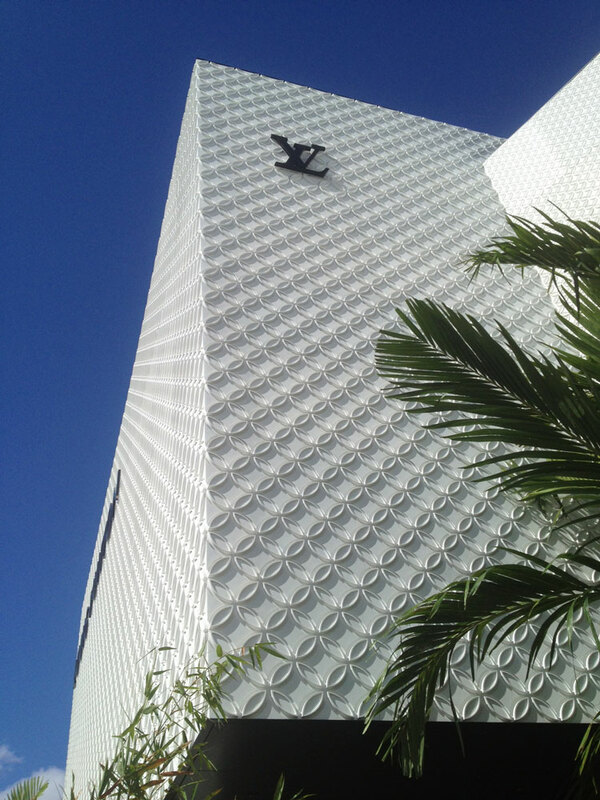 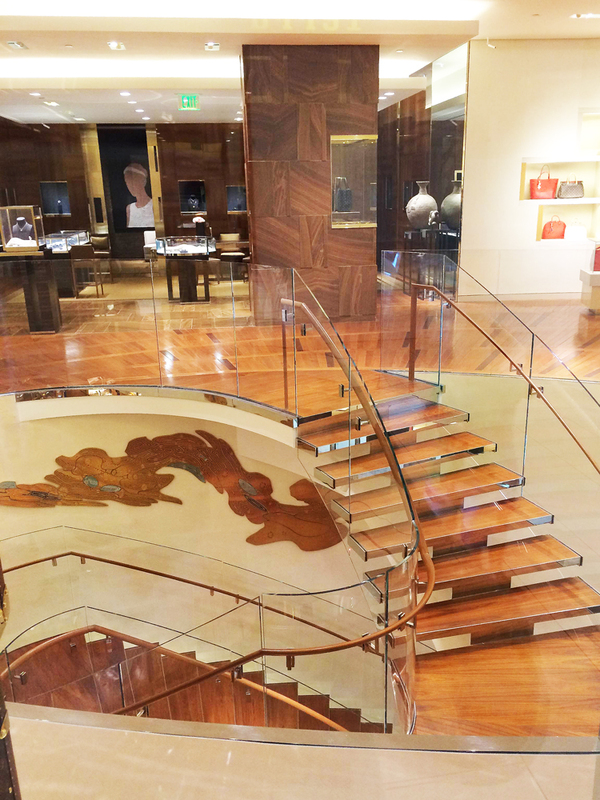 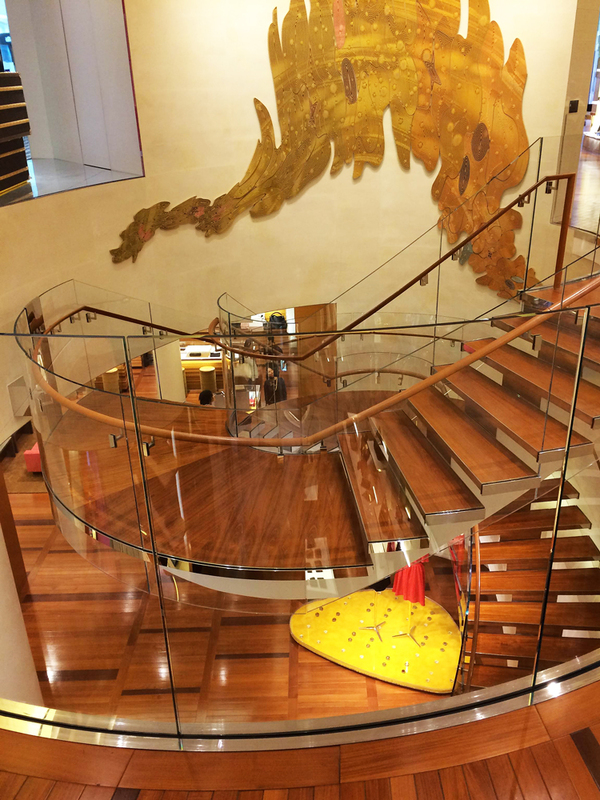 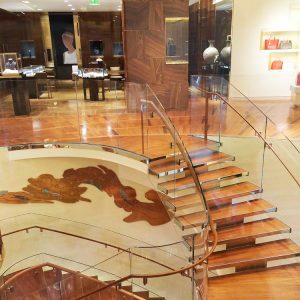 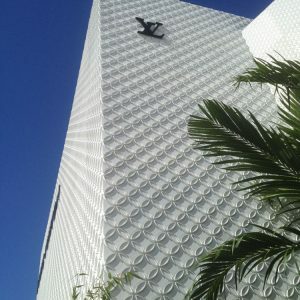 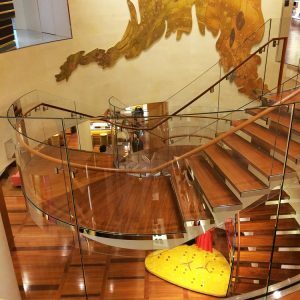 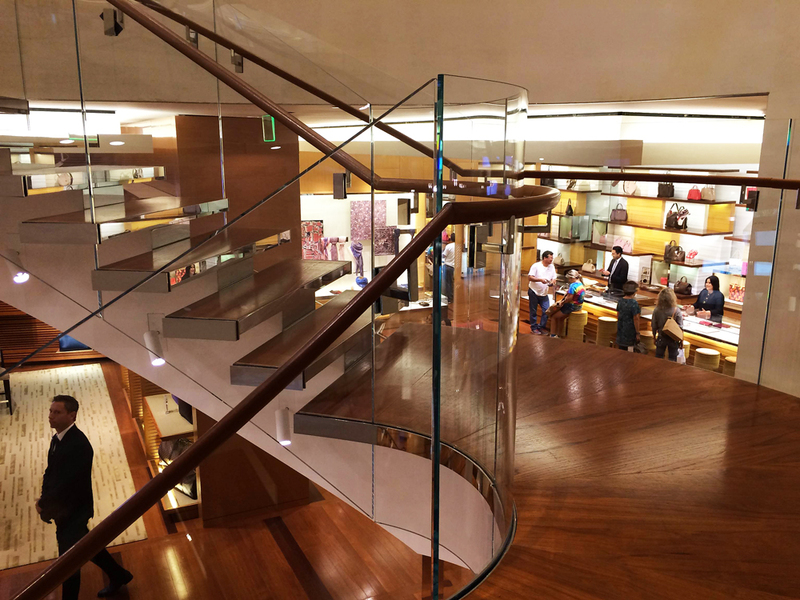 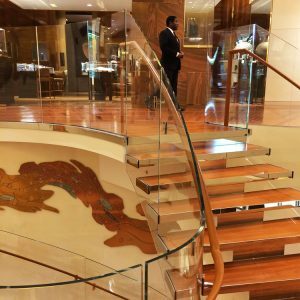 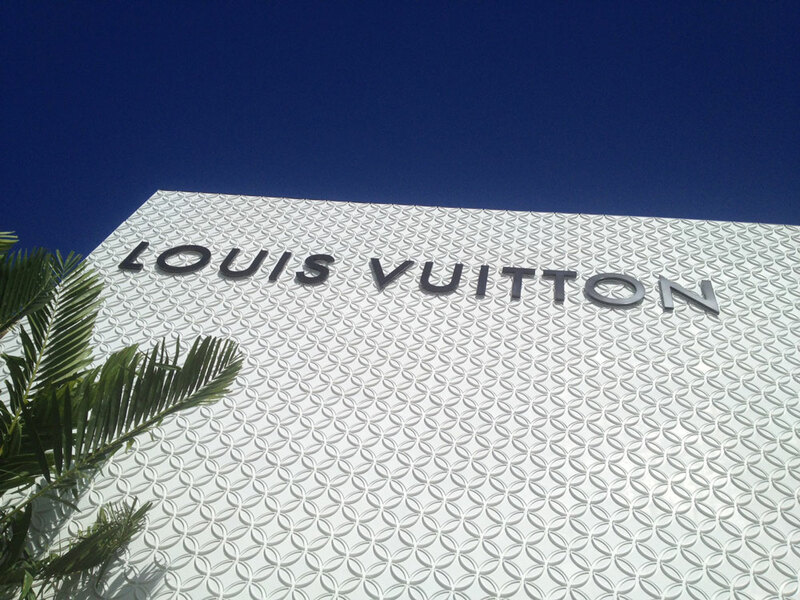 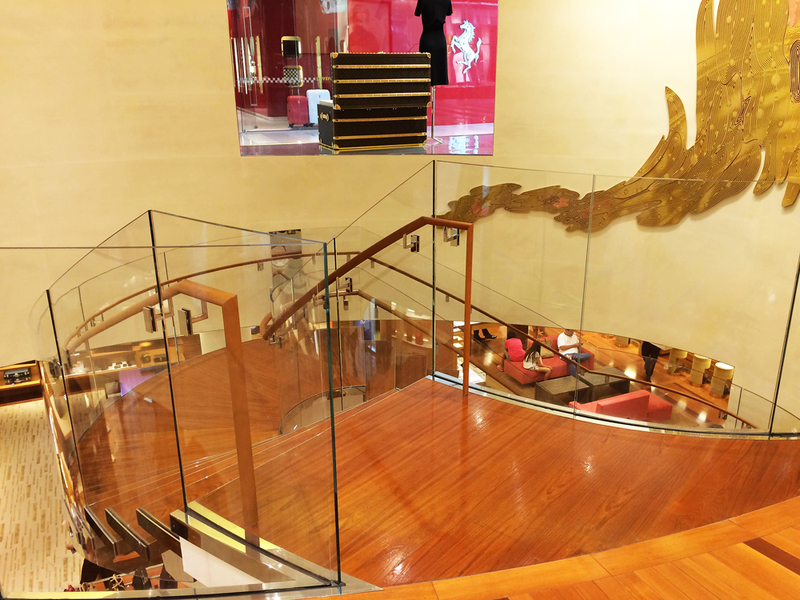 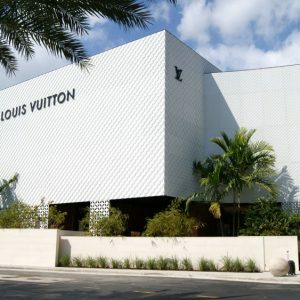 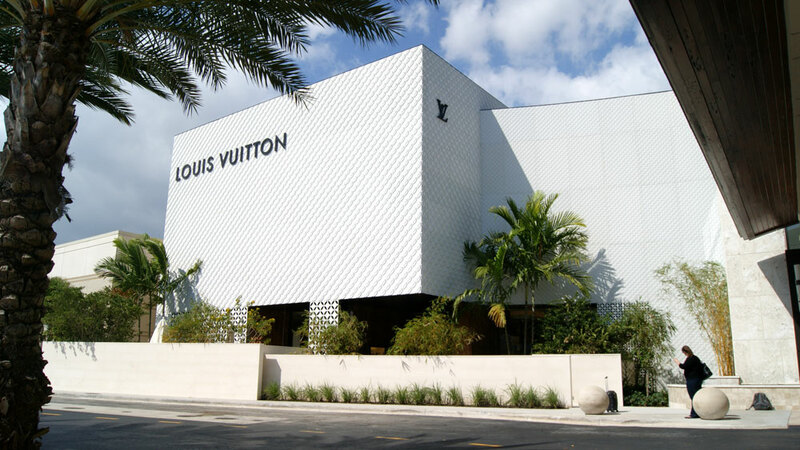 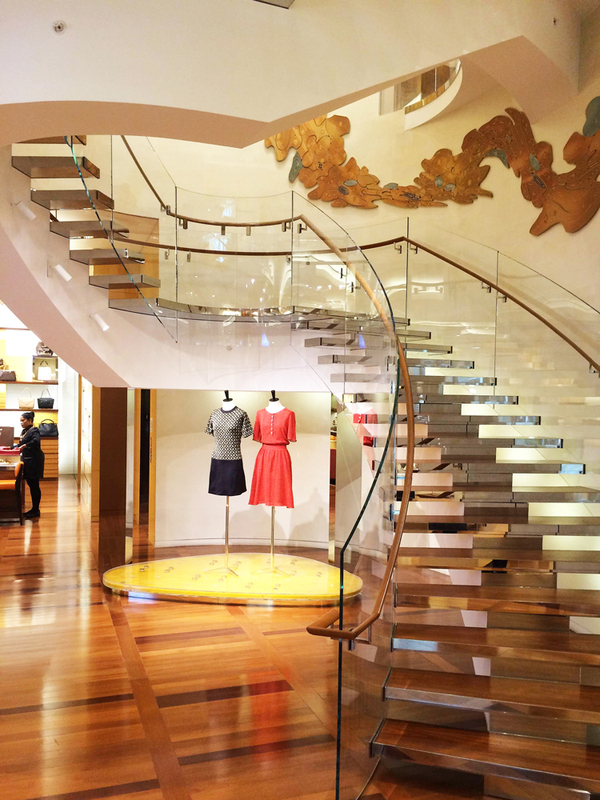 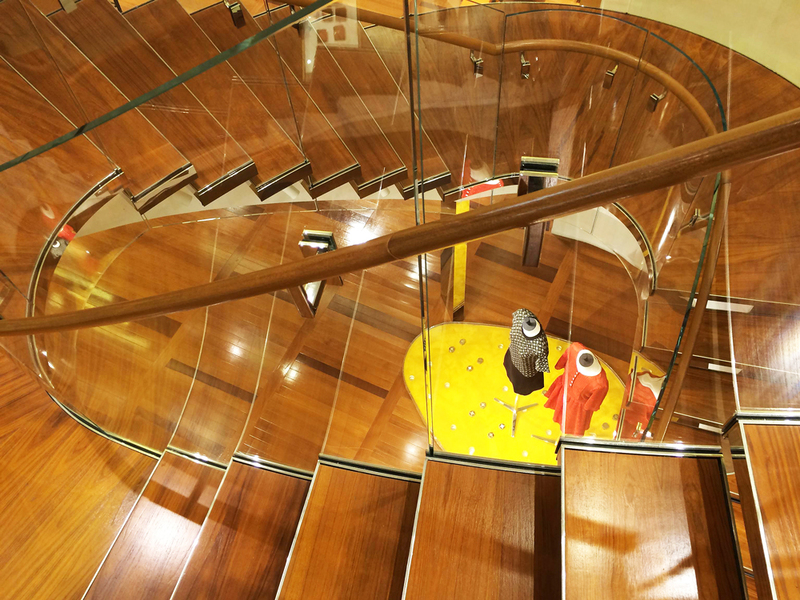 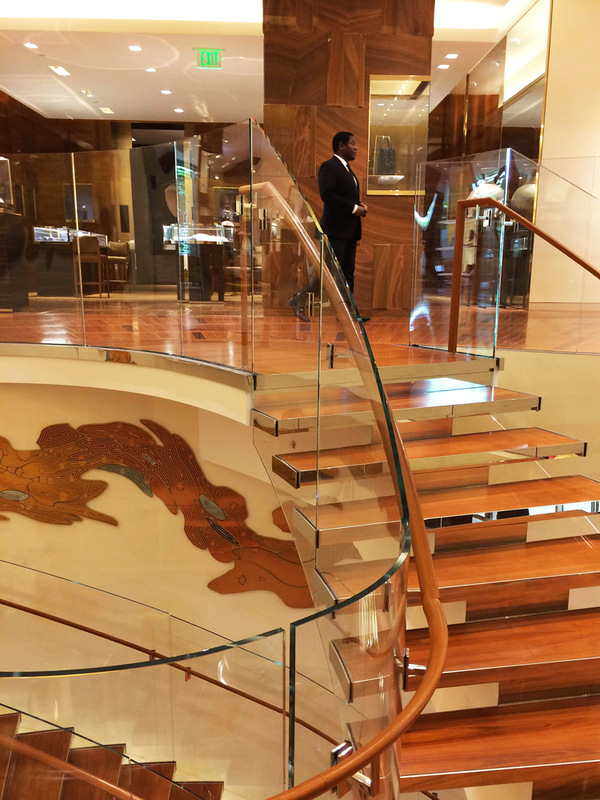 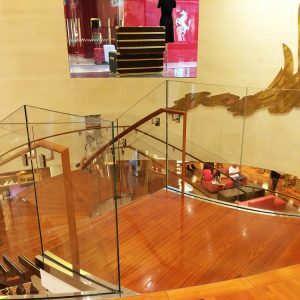 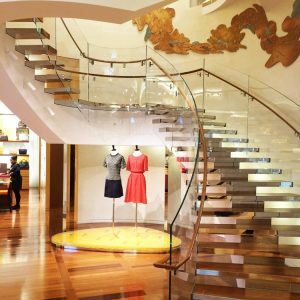 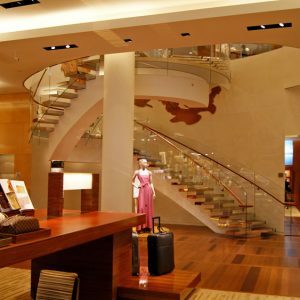 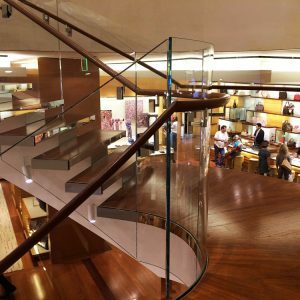 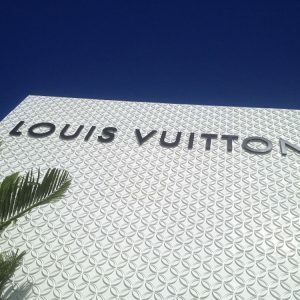 Louis Vuitton Florida Façade and Architectural Stairs - Walters Group Inc. 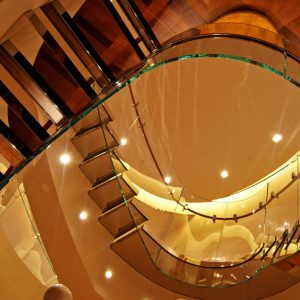 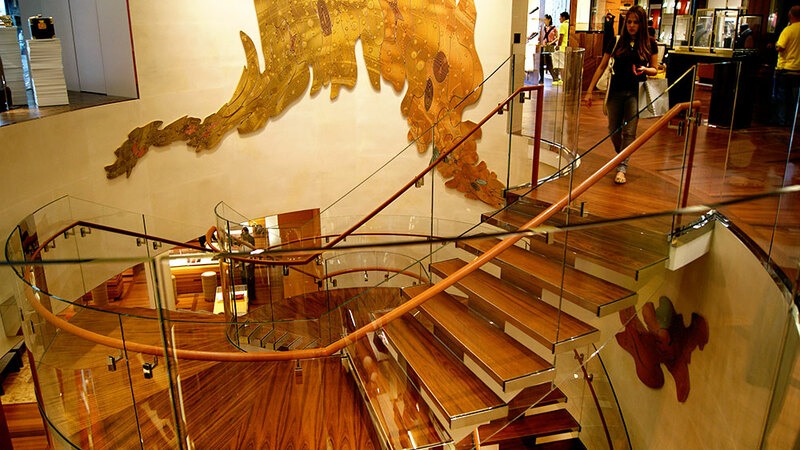 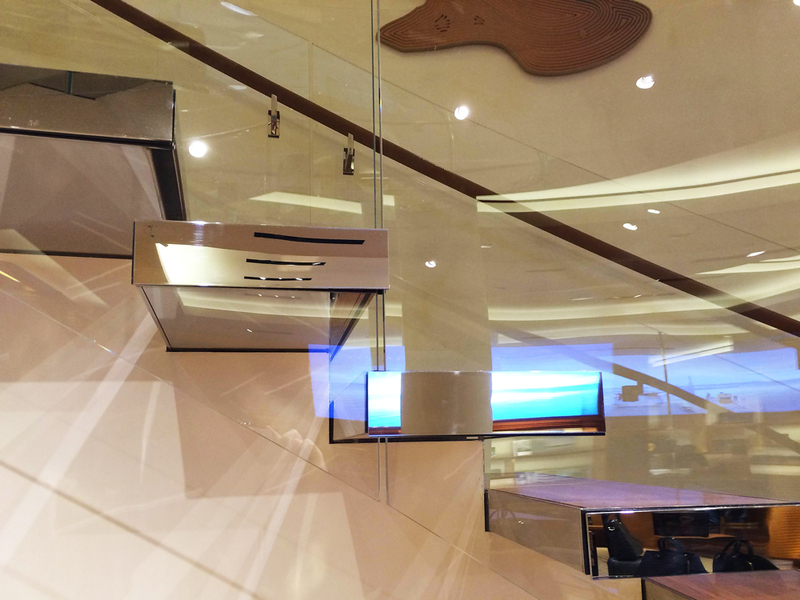 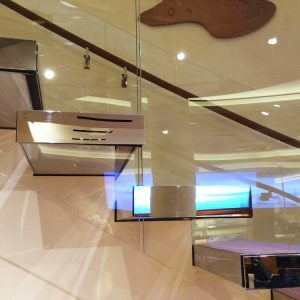 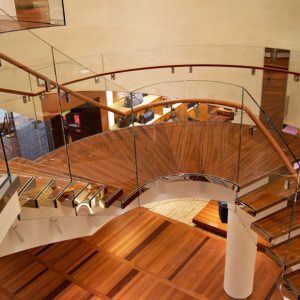 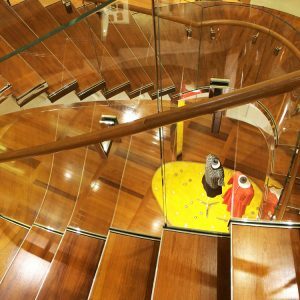 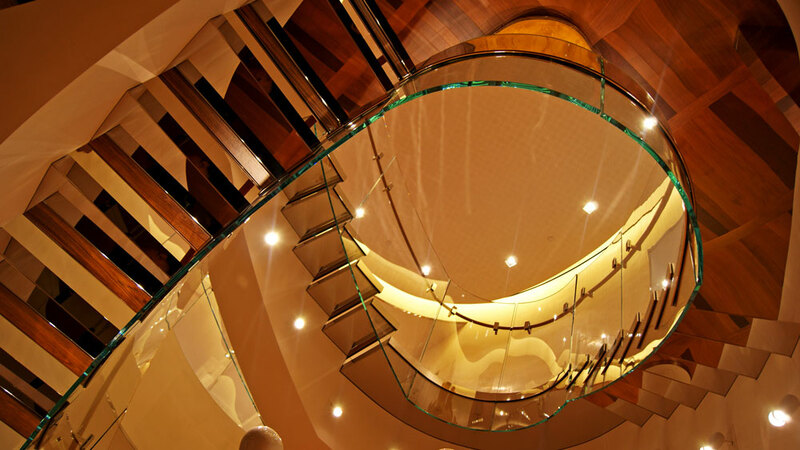 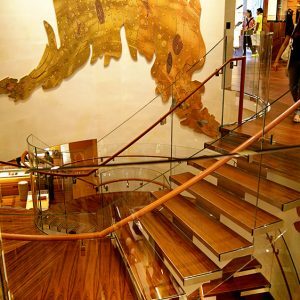 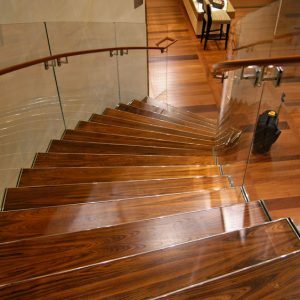 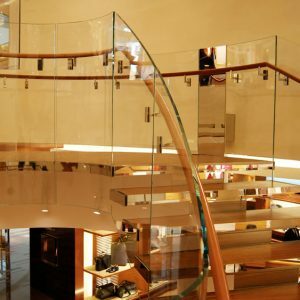 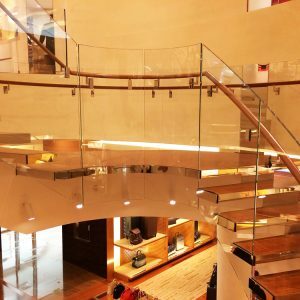 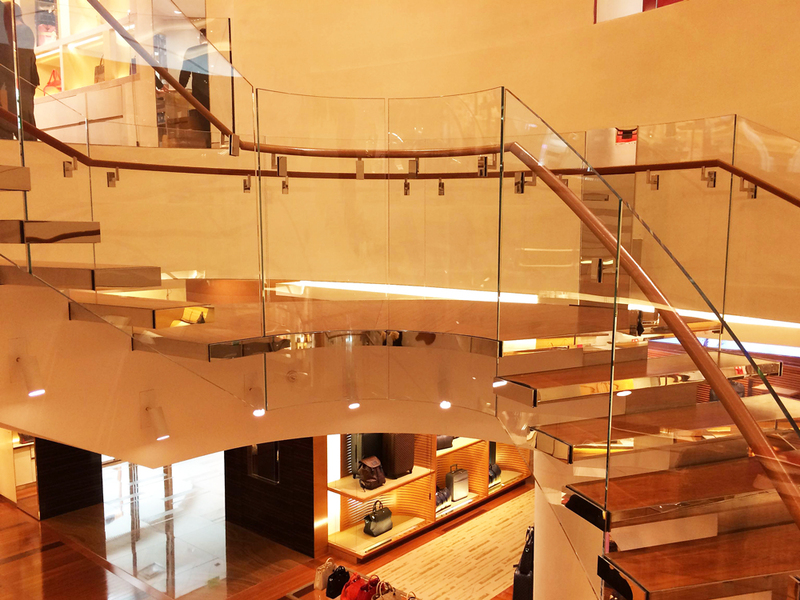 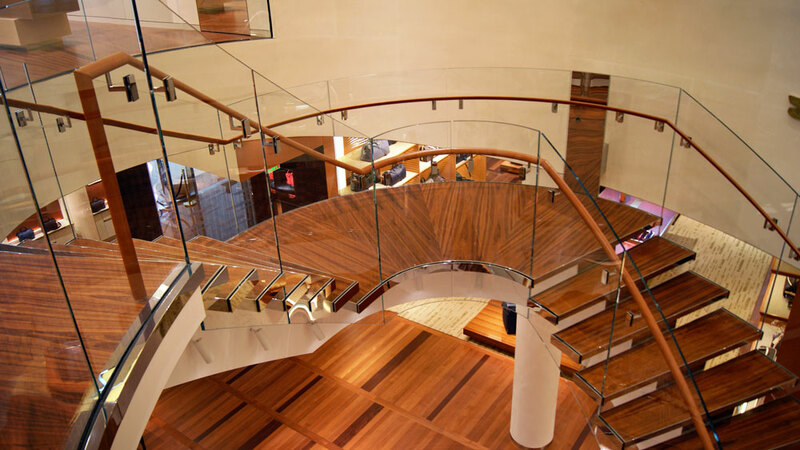 Feature Walters provided design and key elements, including (for staircase) the handrail with leather wrap, mirror-polished bolts, steel stringers and drywall finish. 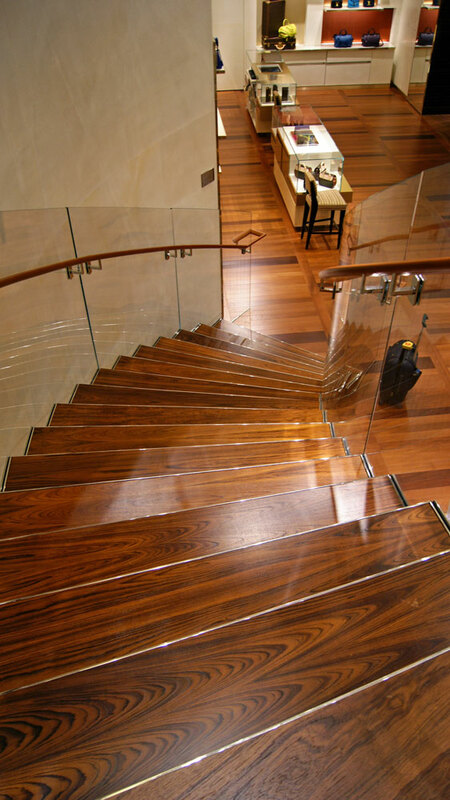 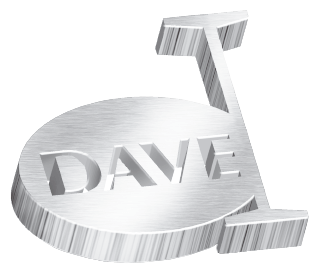 We also provided the cut file for the wood components that were supplied by another partner. 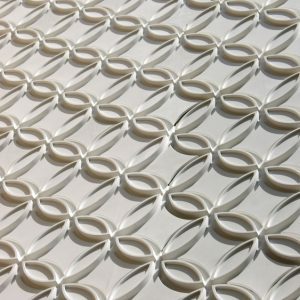 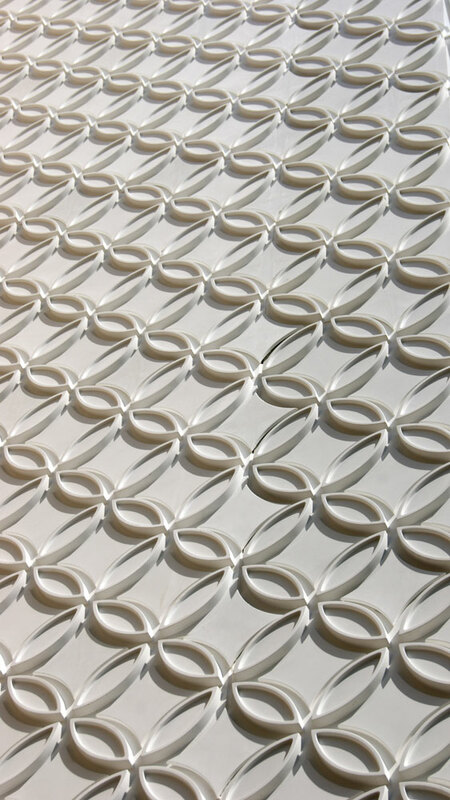 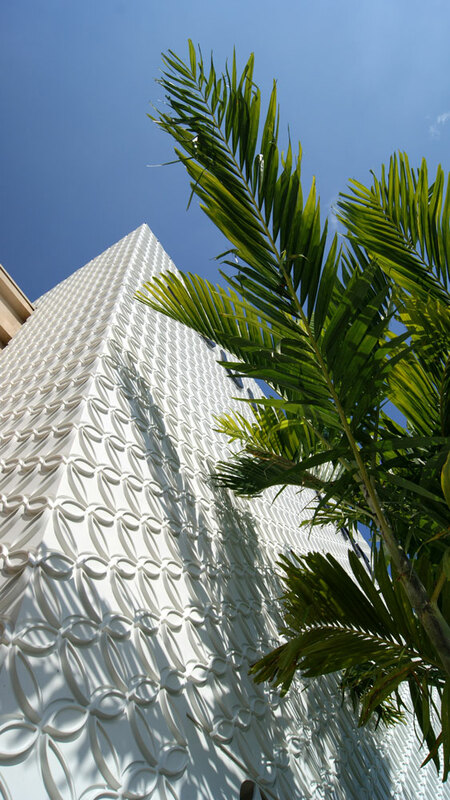 We developed an innovative panel system for the façade that minimizes maintenance costs associated with potential hurricane damage. 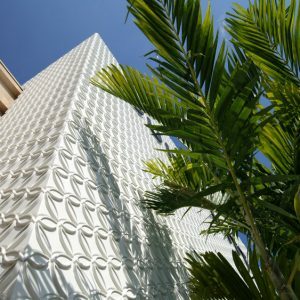 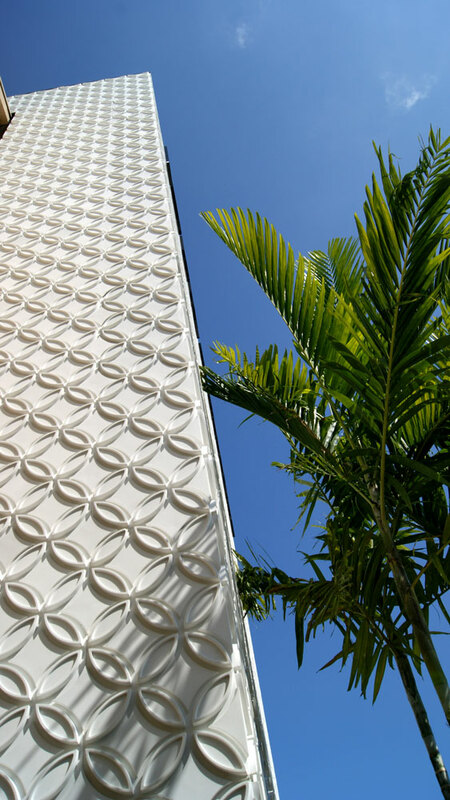 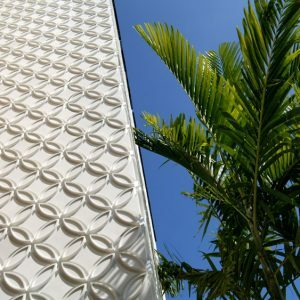 The distinctive façade was created with ultra-high performance concrete, with molds designed by Feature Walters. 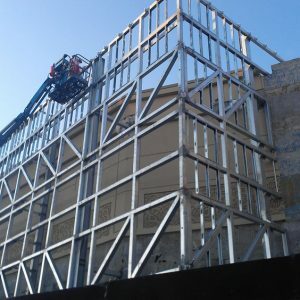 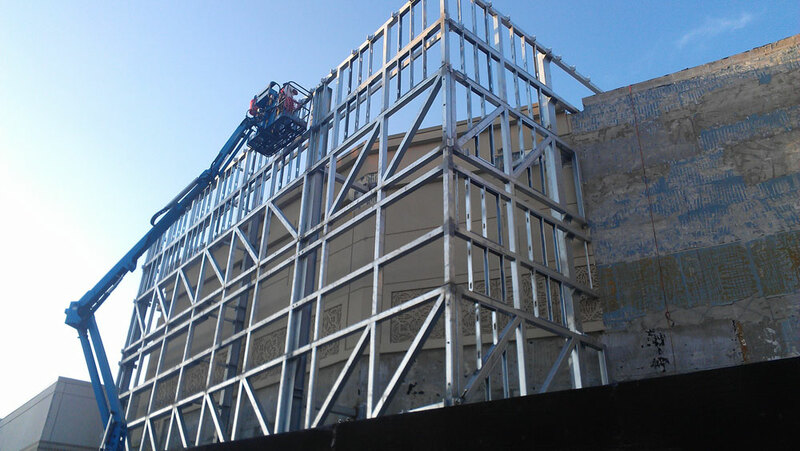 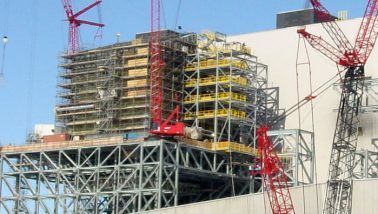 Feature Walters also erected the steel behind the façade as well as the signage, and ensured all components were rated for Florida’s hurricane-force winds. 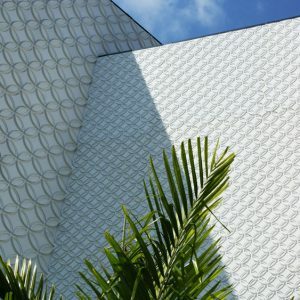 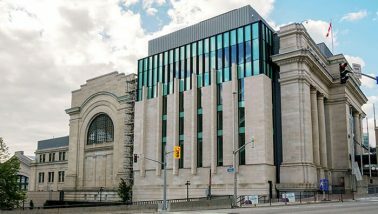 The diamond designs in the façade provided an invisibility cloak for a panel system that allowed small sections of the façade to be repaired without dismantling the entire exterior. 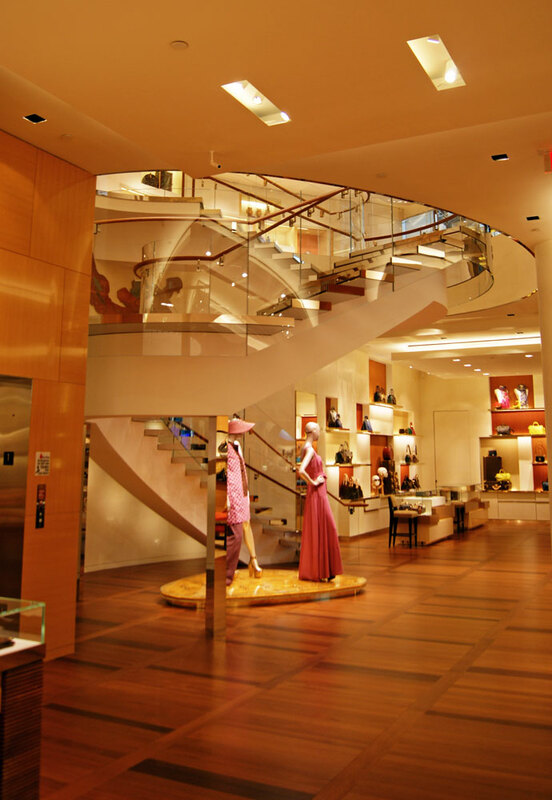 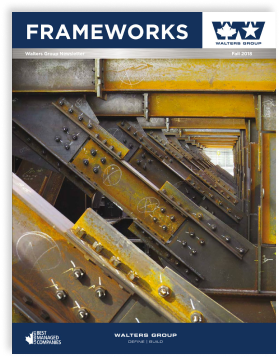 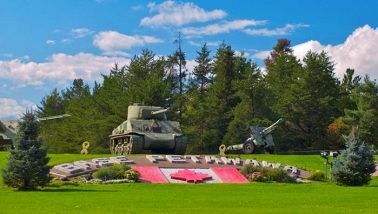 In this way we were able to harmonize aesthetics with cost effective maintenance.